Royal Caribbean Quantum Class ships feature as part of a luxury sailing fleet that provides amenities and activities that are not highlighted on other cruise ships. 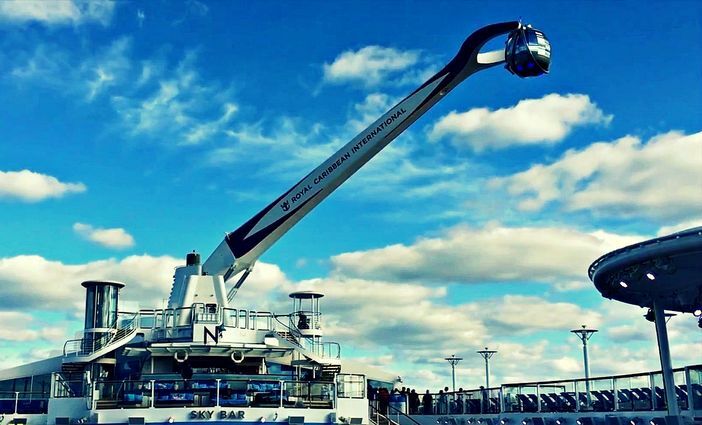 These amenities and activities are hallmarks of this class of cruise vessels. The Quantum fleet is represented by four sailing ships, including the Quantum of the Seas, whose homeport is in Shanghai. Anthem of the Seas, which will be based in Bayonne, NJ in the fall of 2015. 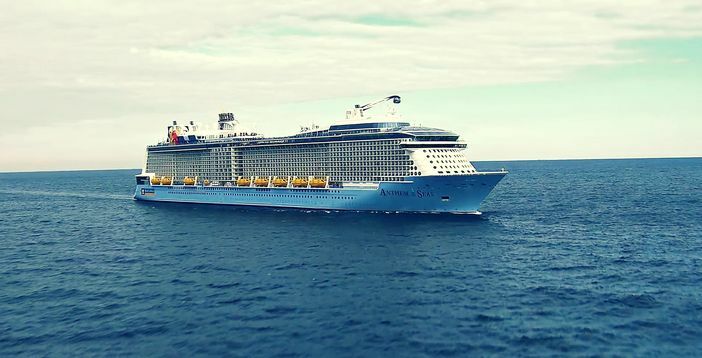 Ovation of the Seas, which makes its official debut in 2016, and the fourth sailing vessel, Spectrum of the Seas, the completion of which is slated for 2019. 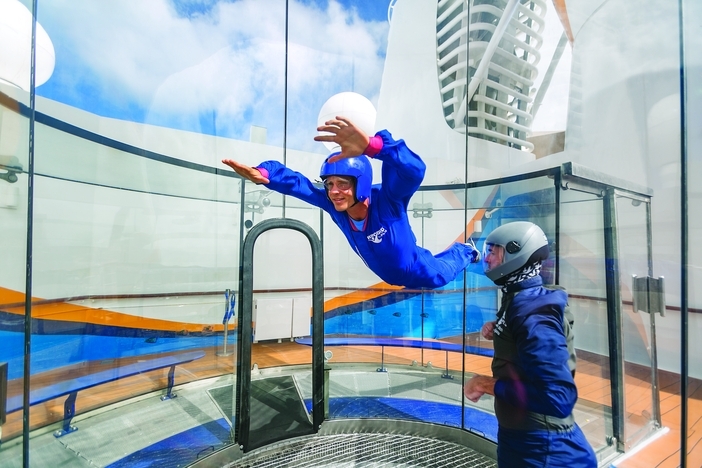 RipCord by iFly is featured on each Royal Caribbean Quantum Class ships. The skydiving simulator offers a safe and controlled setting for simulated skydiving. Participants fly through a 23-foot chamber where they can also take in magnificent ocean views. Royal Caribbean Quantum Class Ships are well-known for the North Star – a glass capsule, which is shaped like a jewel and spans 300 feet above sea level, giving visitors panoramic views of the surrounding sea and distant landscape. 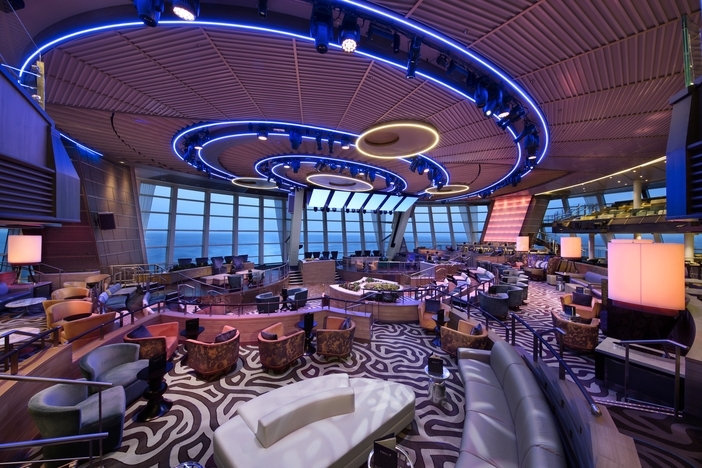 Two 70° is a featured lounge that offers guests three-storey 270° panoramic sea views, the largest bar on the ship and a café. During the nighttime, the furniture moves and dividers and chandeliers retract to open up and reconfigure the area for disco entertainment or a nouveau-cirque type show. Digital images are provided by six robotically operated 100-inch LCD screens. 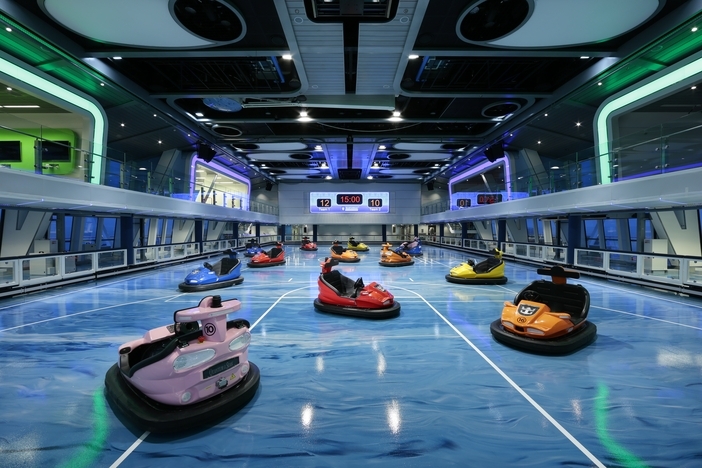 The SeaPlex is another feature of Royal Caribbean Quantum Class Ships. The family-fun complex lives up to its name as the venue features roller skating and bumper car activities. Visitors can even attend trapeze school if they wish. In addition, hungry ocean-goers can get a bite to eat at the SeaPlex Dog House – a food truck that is featured in the facility. Table tennis, foosball and air hockey tables are located on a second-tier mezzanine. Finally Jamie’s Italian, a restaurant owned by renowned chef Jamie Oliver, does not feature standard Italian fare but allows cruise guests to enjoy a true Italian dining adventure. The pasta is made each day by hand and planks of seasonable veggies and cured meats are regularly served. The meat plank is a meat eater’s dream, highlighting an abundant sampling of prosciutto, schiacciata picante and fennel salami. The Royal Caribbean Quantum Class ships offer unique amenities and memorable onboard activities – activities you won’t experience on other cruise lines. The ships also travel to one-of-a-kind destinations – all the more reason to book a cruise today.